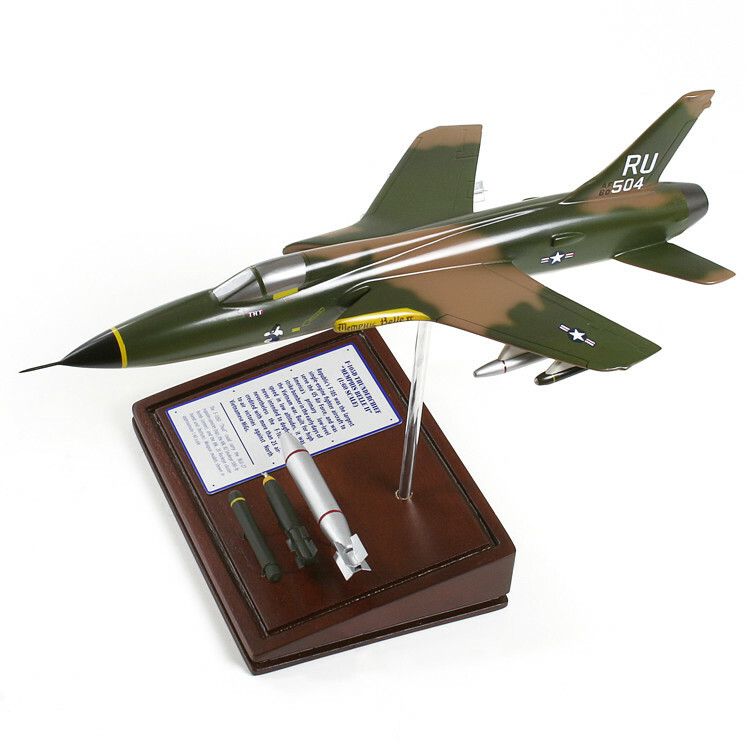 The Republic F-105D Thunderchief Memphis Belle II was named after the famous World War II Boeing B-17F Flying Fortress “Memphis Belle”. Big and sometimes unreliable, the Thunderchief earned the unflattering moniker “Thud” along with other uncomplimentary nicknames, owing to its unwieldy built. Nevertheless, this Vietnam era fighter was the definitive version of the aircraft because of her all-weather advanced avionics. She was the largest single-pilot, single-engine combat aircraft ever built, weighing approximately 50,000 lbs. Regardless of her mechanical quirks, she still dominated attack aircraft missions in early phases of the Vietnam War as well as in other operations.